Indoctrinate your kids into the joys of buses, bikes, and car-free streets! 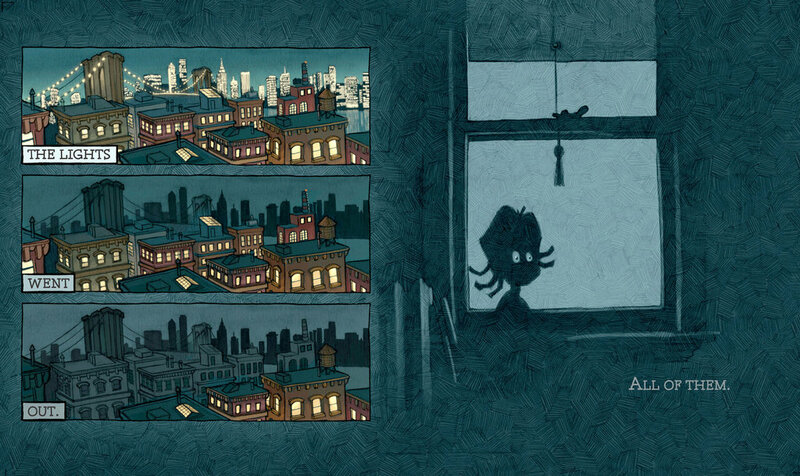 Panels from "City Block," by Christopher Franceschelli. Kids get bombarded by car culture early. Almost the minute a baby is born — if it’s a boy anyway — cars and trucks are likely to become part of his wardrobe. Then his toys, and then his books. 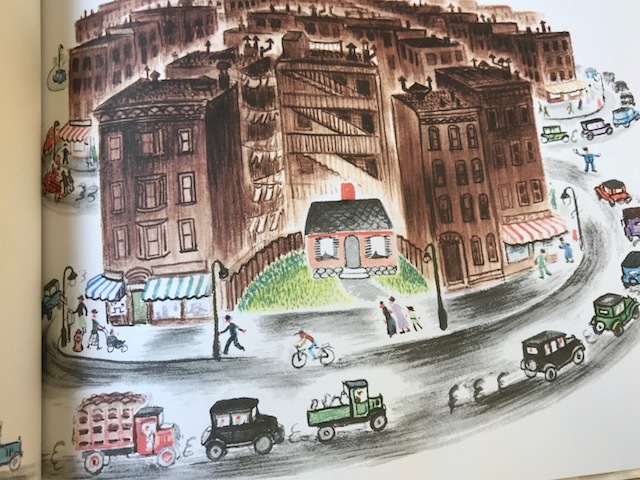 There are a huge number of children’s books that dwell on subjects related to streets, mobility, and city living. But if you want your child to be exposed to more expansive ideas of what streets and transportation are all about, what are your options? I put out the call on Twitter last week to see what everyone recommends, and people came through in a big way. Here’s our crowdsourced list of hidden gems, classics that hold up surprisingly well, and books that may not convey the message you’re after but can lead to an interesting talk with your kids. Of the whole bunch, this lesser-known book is the strongest expression of the idea that streets belong to people instead of cars. Mara Rockliff tells the story of two older ladies who are friends but live on opposite sides of a busy street, Rushmore Boulevard. 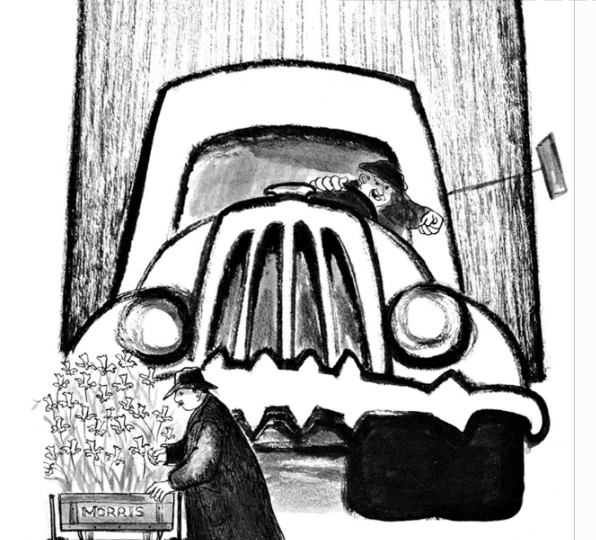 One day, Agatha tries to visit Eulalie but is frustrated by the traffic. So frustrated that brings her easy chair outdoors and sets it in the middle of the street. Eulalie decides to join her, with ginger snaps, for a game of Parcheesi. Eventually the idea catches on and children start playing in the street, they have a big street party, and people displace cars. “It took a while” to drive down Rushmore Boulevard after that “but no one minded.” Because “if you drove too fast,” you couldn’t smell the flowers, or hear the mariachi band, or eat cookies from Agatha. My son loved it. So many kids’ books are told from the perspective of the car or the driver, and racing fast is the whole objective. This conveys a very different idea that I think can resonate at a very young age if they already do a fair amount of walking. A boy named C.J. 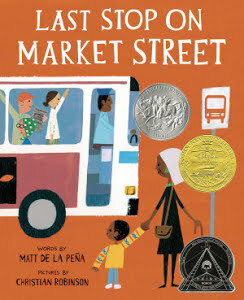 waits for the bus with his grandmother and then rides through San Francisco meeting all sorts of different, interesting people (and a spotted dog) in Matt de la Pena’s book. Throughout, the grandma helps C.J. understand his encounters. This is one lovable grandma and an A+ children’s book. Christopher Franceschelli’s City Block is a great one for younger kids, with lots of multi-modal transportation. 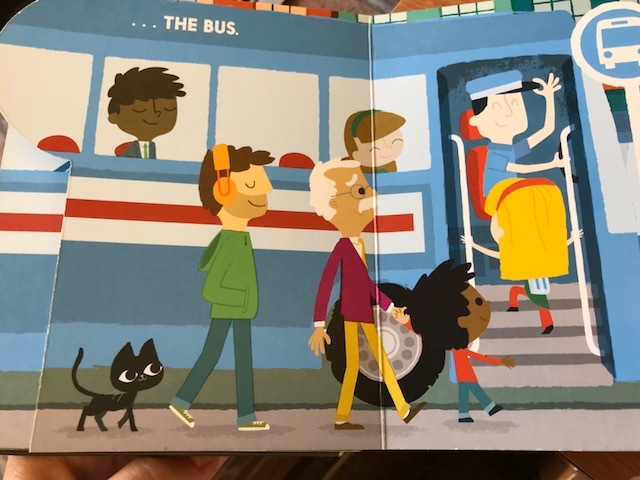 The characters, two children and their grandfather, spend the first half of the book trying to figure out how to get around the “big city”: walking, bus, ferry, taxi — even a helicopter — but a personal car is never mentioned. The rest of the book is devoted to chronicling all the fun things for kids to do in the city: Go to the Natural History Museum, visit the library, hit up the farmer’s market, eating at a taco truck. You come away with a sense that it’s fun to get around and hang out in a city. In this book by Jean Merrill, a war takes place in New York City. The aggressors are trucks, which keep growing bigger and more intimidating, and the resource at stake is the streets. The story is meant to serve as an allegory about how wars begin. But it also hews pretty close to the real process by which “motordom” came to dominate city streets — by bullying people like the book’s pushcart flower dealer out of the way. The plot includes politicians afraid to challenge the dominance of large trucks, industry lobbyists who work to manipulate the public’s perspective for their own ends, and other types that will be recognizable to parents versed in urban transportation history. Told from the perspective of a country house that becomes enveloped by the city, this one is very contentious among our Twitter followers. Some think it glorifies sprawl. Others see it as a cautionary tale about the dangers of sprawl. The Little House is perfectly happy until slowly the city creeps up. One day “horseless carriages” arrive. Then construction crews come and add a road through the “hill covered with daisies.” Soon the house is surrounded by apartment buildings. “She didn’t know whether she liked it or not,” and she misses the rural countryside. Having finally read this book, written in 1942 by Virginia Lee Burton, I agree with the argument that it’s very anti-urban. But it is informative about the attitudes that stoked sprawl, if you’re ready to get into urban vs. suburban politics with your kid. 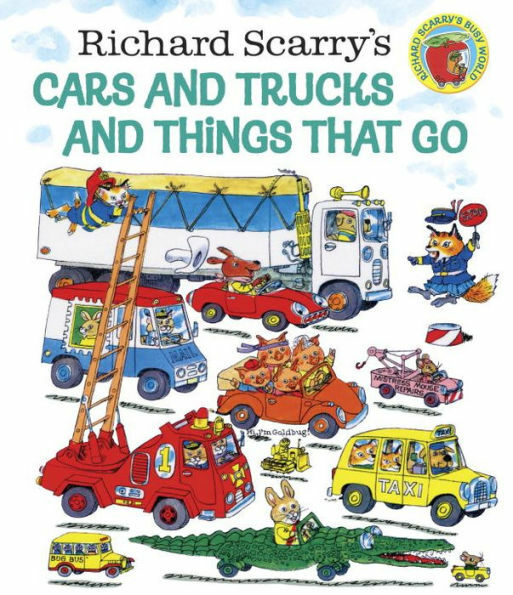 For a book with cars and trucks in the title, this classic is surprisingly multi-modal. The heroine is a female bike cop who chases down a reckless driver (a dog named Dingo). 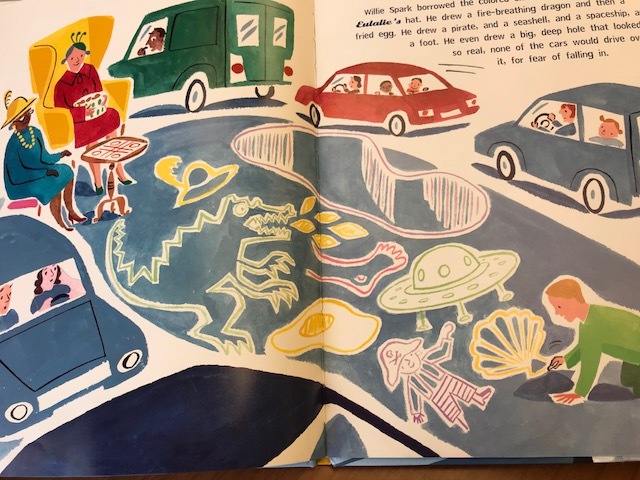 Throughout the book, cars and construction vehicles and buses and trains and bikes and motorcycles (and pickle cars and donut cars and alligator cars) share the road. Sometimes it’s messy. It’s kind of like an adorable Mad Max. Written in 1974, it reminds you how monotonous our cars-first transportation system has become. If only driving, or biking, or being on the road were actually as fun as this book. There are lots of trains in these books, but your kids can’t really pick up a flavor for city transportation by reading them. On the Island of Sodor, they use trains to transport literally everything. It’s a utopia for rail nerds, but how does the railroad stay solvent with so few people around? Like so many things in this idiosyncratic series, it’s a bit of mystery. When the lights go out in New York, a family — and the whole city — stops being “busy” and starts enjoying each other’s company. The protagonist and her family head up to their rooftop where a spontaneous moonlit block party is underway. Then they make their way down to the streets. Children play in an open hydrant and people sit on their stoops playing music. No need to be afraid of the dark when your neighborhood is there to take care of you. Cycle City, the Ultimate Book of Cities, Goodnight, Goodnight Construction Site, The Great New York Subway Map, and many others.